Reservations available from 5pm - 9pm $32.95 per person (Exclusive of Tax and Gratuity) The Menu features Cheese Fondue, Seasonal Salad, "Petite Entree" and Delectable Chocolate Fondue Dessert. Link to LADIES NIGHT OUT - $32.95 FOUR COURSE EXPERIENCE APRIL 29TH, APRIL 30TH & MAY 1ST Reservations available from 5pm - 9pm $32.95 per person (Exclusive of Tax and Gratuity) The Menu features Cheese Fondue, Seasonal Salad, "Petite Entree" and Delectable Chocolate Fondue Dessert. 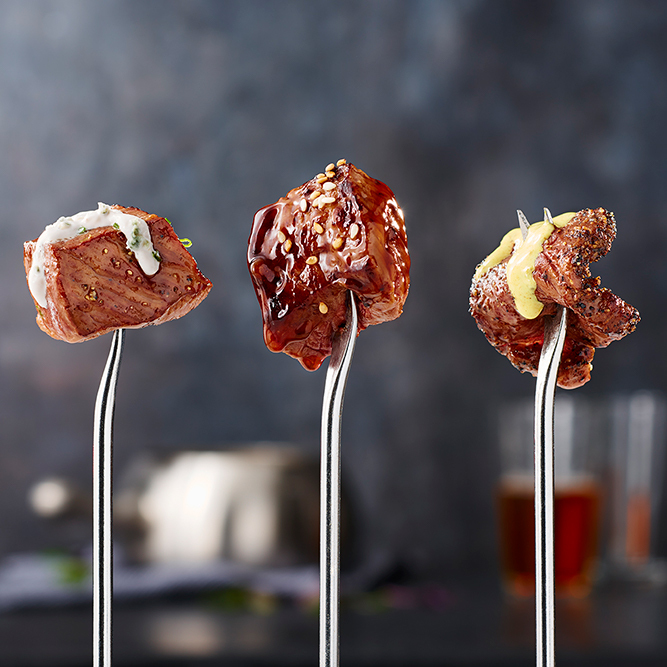 Mother's Day - Sunday, May 12th, 2019 is a Day To Shower Mom With Gratitude, Affection And Molten Cheese Fondue! 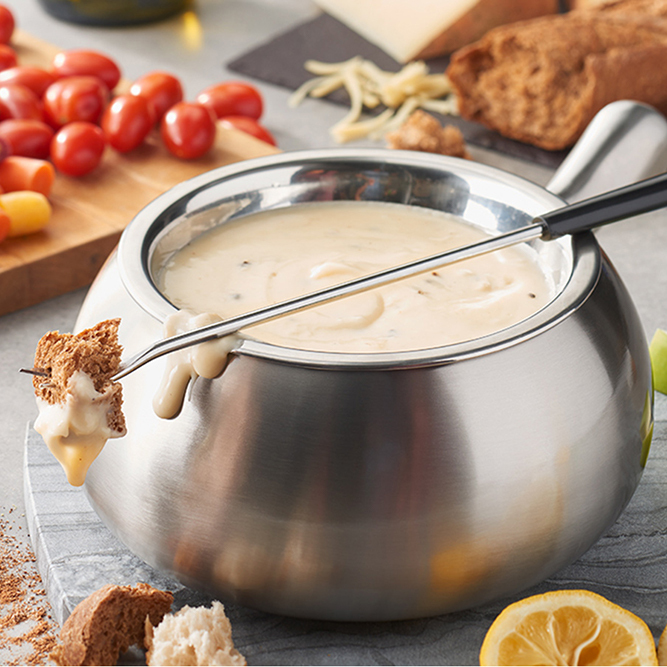 Link to Mother's Day - Sunday, May 12th, 2019 is a Day To Shower Mom With Gratitude, Affection And Molten Cheese Fondue! Let us help you plan your perfect party! Link to Large Parties Let us help you plan your perfect party! 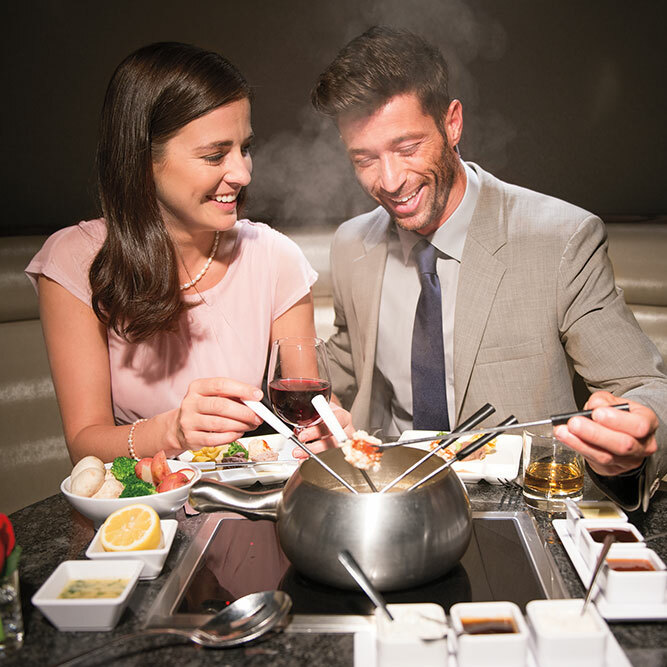 Join us tonight at The Melting Pot and make some unforgettable memories with the ones you love. When you want something different for dinner tonight, set your sights for The Melting Pot in Lyndhurst, Ohio. Come in for drinks and cheese before a fun evening out on the town, but be careful. You might fall in love with our lovely surroundings and cheerful ambiance and stay with us for a full four-course meal instead! If you do choose to experience everything we have to offer in four courses, we begin with the cheese. Our friendly servers blend and season it for you tableside, and then they deliver freshly made salads before the main course. 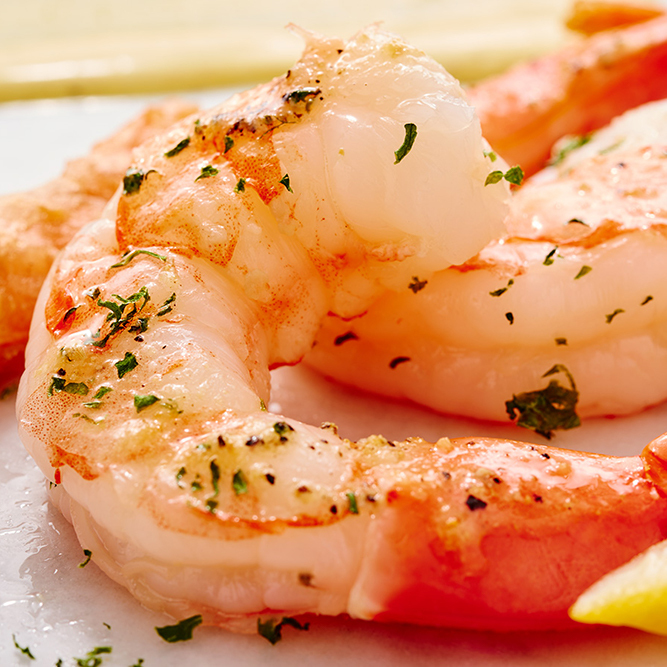 From succulent seafood and savory steak to fresh chicken and vegetables, our entrées have something for everyone. 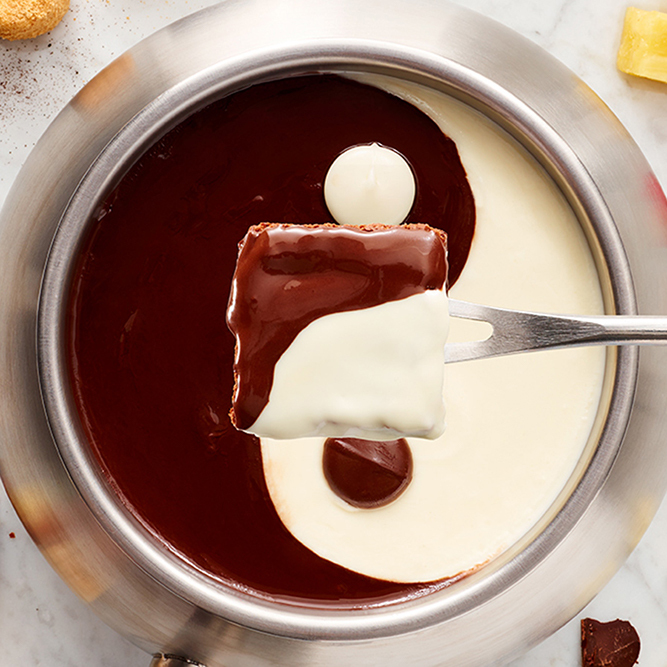 Dessert ends the meal perfectly with your choice of several different chocolate fondues and dippers. Reserve a table or booth and make tonight a meal to remember. 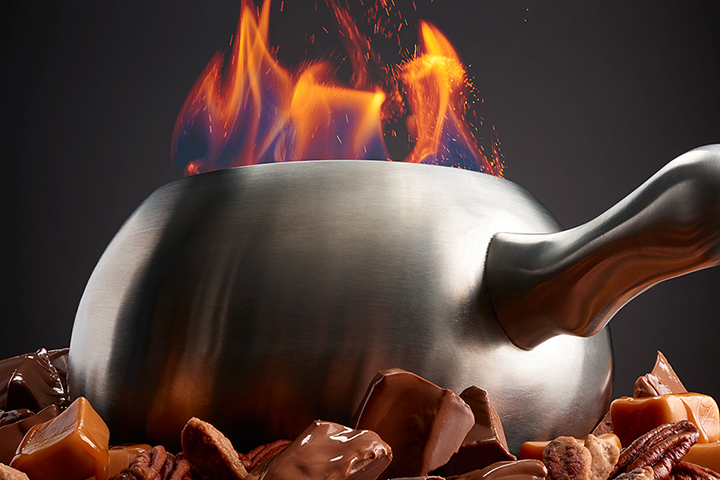 The Melting Pot is Cleveland's modern, romantic, interactive, upscale, casual and fun fondue restaurant. 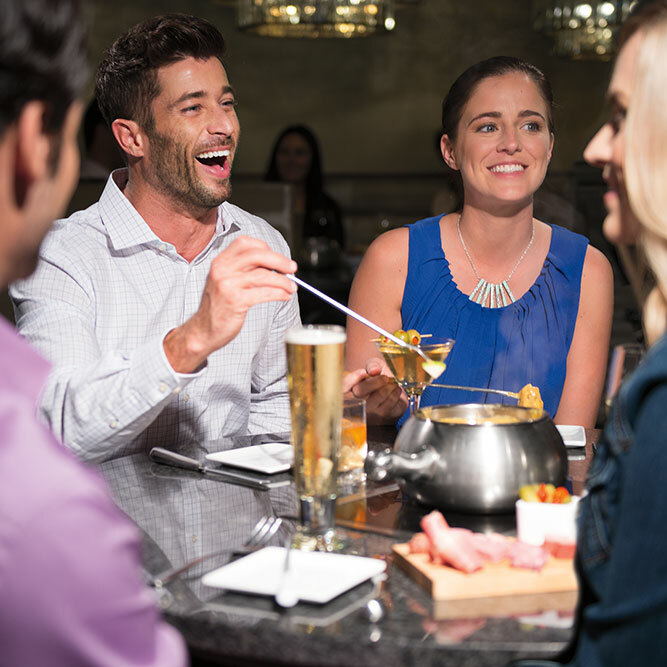 From an intimate dinner, to a girls' night out, to a banquet, The Melting Pot is a place to escape the day to day and relax! The Melting Pot is a modern, fun, romantic, interactive, upscale yet casual fondue restaurant. From an intimate dinner for two, to a Girls' Night Out, to a banquet of 100 for a Christmas or Corporate event, The Melting Pot is the place in Cleveland to escape the day to day stress, relax and enjoy. Our beautifully appointed dining rooms, superior service, 250 wine bottle list and extensive fondue menu make for a perfect dinning experience in casual elegance! 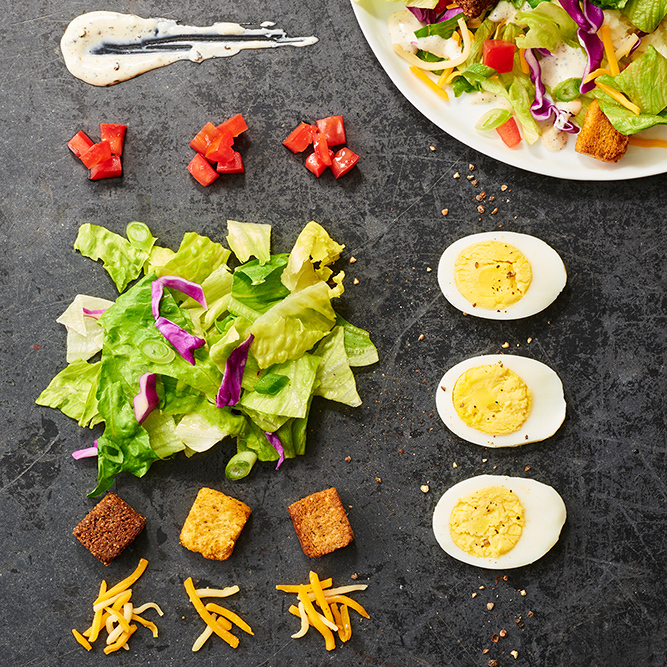 The Melting Pot menu has mouth-watering options for everyone. Start with one of our award winning cheese fondues. 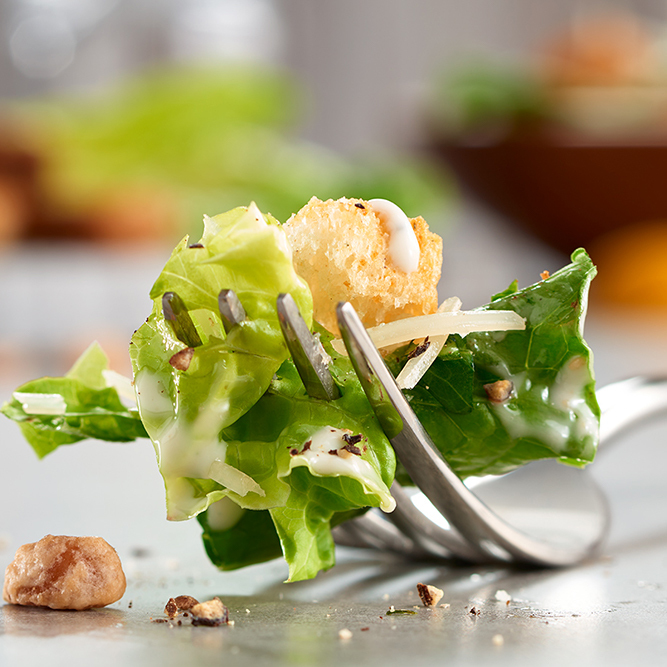 Follow it up with a freshly prepared salad served with a signature dressing. 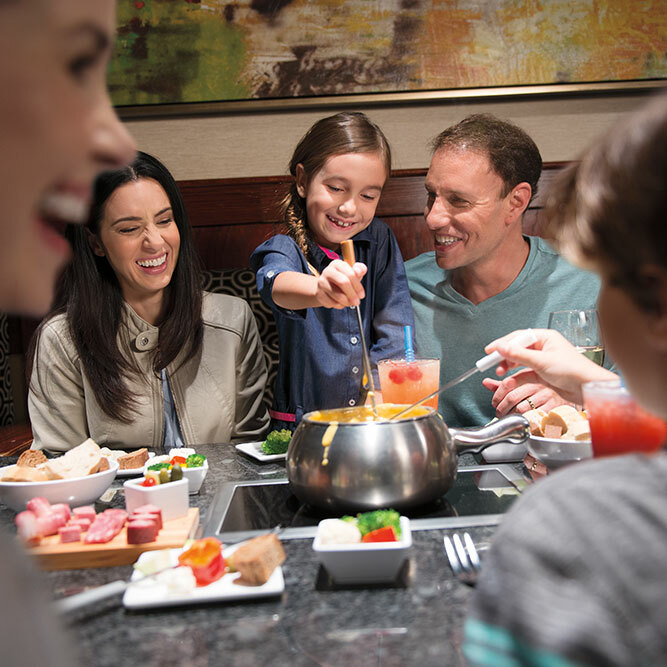 Enjoy interacting with your friends and family while cooking fondue-style entrees including seafood and steak right at your table. 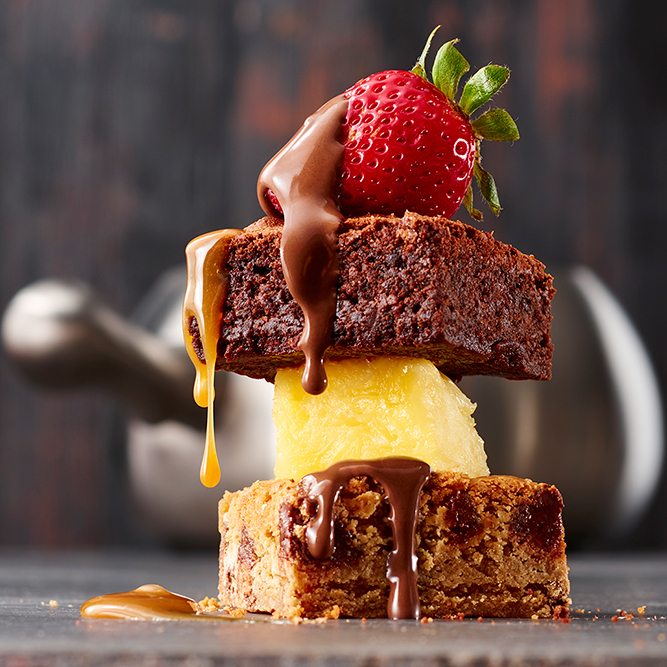 And it's not a trip to the Melting Pot without a dip into one of our decadent chocolate fondue desserts accompanied by strawberries, banana, brownies and more. We proudly offer a full gluten free menu & can accommodate vegetarian & most other dietary requests. We also have vegan cheese & vegan chocolate options! Make your romantic night or celebration complete with any of our celebration packages including: three, six or a dozen long-stemmed roses. balloon packages or our signature, chocolate covered strawberries. 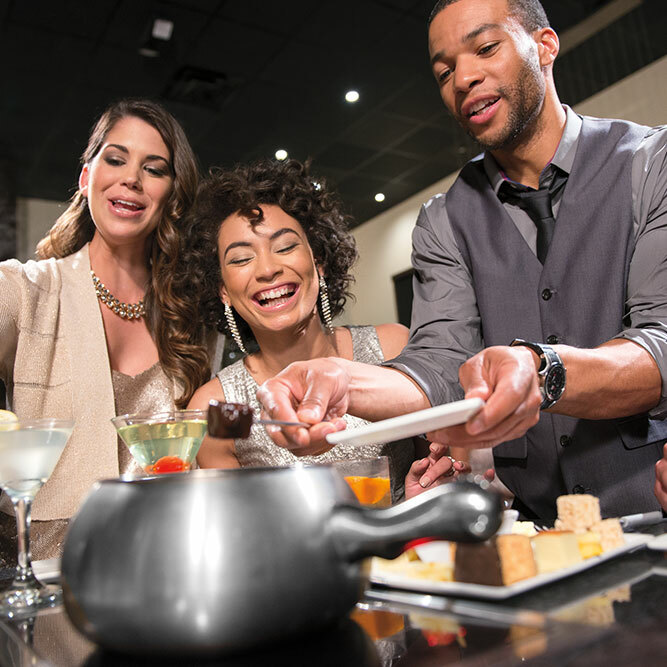 With so many options to mix, cook and dip, The Melting Pot offers one of the most interactive, romantic and social dining experiences in northeast Ohio. Visit us to find out why we're one of the best restaurants in Cleveland. You'll find us at Legacy Village in Lyndhurst OH, minutes from Beachwood, Cleveland Heights, Euclid, South Euclid, Shaker Heights, Pepper Pike, Richmond Heights and Mayfield Heights. We're located off of the I-271 Cedar Rd exit.